We’ve spent over 4,000 hours designing, developing and creating WP E-Signature. We’d ensure that it’s the best E-Signature plugin we’ve ever created, and we think it shows. 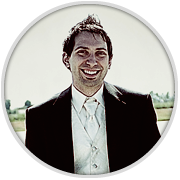 Kevin Michael Gray, founder and principle of Approve Me Technologies with over 14 years marketing experience. Has worked at various interactive network agency’s before launching WP Digital E-Signature and has expertise working with world-class clients like Google, American Express, YouTube, Dell, Spotify and many more. Kevin’s hobbies include buying and selling junk on ebay, making music and getting lost on his red Vespa.